"What you fix to do today, man?" Amazon Studios has released the first official trailer for the new Spike Lee joint, titled Pass Over, an adaptation of Antoinette Nwandu's stage play. This isn't so much of a movie, Lee has instead decide to film the play as a performance piece, and release it on Amazon that way. Nwandu's Pass Over is a fresh, "provocative riff" on Waiting for Godot, about two boys standing on a Chicago street corner. "As they dream of their promised land, a stranger wanders into their space with his own agenda and derails their plans. Emotional and lyrical, Pass Over crafts everyday profanities into poetic and humorous riffs, exposing the unquestionable human spirit of young men stuck in a cycle just looking for a way out." Starring Blake DeLong, Ryan Hallahan, Jon Michael Hill, Julian Parker. This looks quite brilliant. Moses and Kitch, two young black men, chat their way through a long, aimless day on a Chicago street corner. Periodically ducking bullets and managing visits from a genial but ominous stranger and an overtly hostile police officer, Moses and Kitch rely on their banter to get them through a day that is a hopeless retread of every other day, even as they continue to dream of their deliverance. 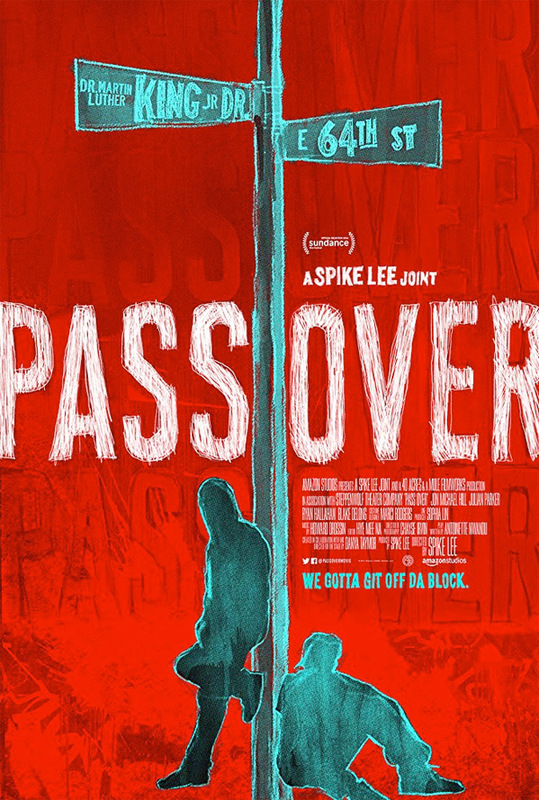 Pass Over is directed by acclaimed American filmmaker Spike Lee, of films including Do the Right Thing, Malcolm X, Clockers, He Got Game, 25th Hour, Inside Man, Red Hook Summer, Da Sweet Blood of Jesus, Chi-Raq, and Rodney King previously. The film is also co-directed by Danya Taymor, produced by Spike Lee, and adapted from Antoinette Nwandu's acclaimed stage play of the same name - first produced in 2017. Amazon will be premiering Spike Lee's Pass Over streaming exclusively starting April 20th this spring. First impression?